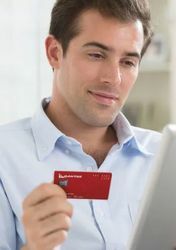 Westpac Altitude Rewards members currently have an easy way to boost their credit card Velocity points – Velocity Auto-Redemption, which uses a more favourable 2:1 conversion rate compared to the 3:1 rate applied to manual transfers from Altitude – but from April 15 2019, this points-boosting option is being withdrawn. It’s not all bad news, however: if you’re already using Velocity Auto-Redemption, you can continue doing so even after April 15, with the Altitude Points you earn still being converted to Velocity every month at today’s more generous 2:1 exchange rate. It also provides a window of opportunity for other savvy Westpac cardholders to preserve the value of their points – both those they’ve already earned, and those they’ll continue to accrue even after April 15 – by opting-in to Velocity Auto-Redemption before that date. Doing so will convert your entire balance of Altitude Points to Velocity at that 2:1 rate, along with any points you subsequently earn, which will also move across at a 2:1 rate. For a cardholder sitting on a balance of 250,000 Altitude Points, choosing Velocity Auto-Redemption would turn that bounty into 125,000 Velocity points: otherwise, that same starting balance of 250,000 Altitude Points fetches just 83,333 Velocity points via a standard 3:1 conversion. The difference alone is more than enough to cover a cross-country Virgin Australia business class flight from the likes of Sydney, Melbourne or Brisbane to Perth (35,500 Velocity points plus a payment to cover taxes and fees), so if your Altitude Points were destined for Velocity anyway, it makes the most sense to enable Velocity Auto-Redemption now while you have the chance. It also means you’ll continue earning Velocity points at a higher rate on your ongoing credit card spends even after April 15, as your Altitude points will retain that 2:1 conversion rate to Velocity rather than future points transfers being completed at a 3:1 rate. For example, using the American Express Westpac Altitude Black Card overseas currently provides five Altitude Points per A$1 spent. Under Velocity Auto-Redemption, that’s equal to 2.5 Velocity points per A$1 spent, versus 1.66 Velocity points when converting points to Velocity manually. Westpac confirms that “if your credit card is currently enrolled, or enrolled before 15 April 2019, Velocity Auto-Redemption will operate as usual until further notice,” and that the change doesn’t impact customers with an Altitude Business card. Westpac customers with only a Mastercard attached to the Altitude Rewards scheme (or a previously-issued Visa, for some existing customers only) can easily set up Velocity Auto-Redemption online. Just head to this page of the Altitude Rewards site, click the red “set up Auto-Redemption” button, login to your Altitude account and supply your Velocity details. As above, this will convert all the Altitude Points in your Altitude Rewards account to Velocity at a 2:1 rate, as well as any Altitude Points you earn after enabling Velocity Auto-Redemption at the same rate. Those with an American Express Westpac Altitude Card will instead need to call Altitude Rewards on 1300 887 820 between 8am and 8pm AEST Monday to Friday, to opt-in for Velocity Auto-Redemption. The call centre can also activate Auto-Redemption on your Westpac Mastercard (or previously-issued Westpac Visa), so if you have both cards, one phone call gets things covered. However, as the call centre is only open from Monday to Friday, and the ability to opt-in for Velocity Auto-Redemption is being removed on Monday April 15, you’d need to make that call by Friday April 12 to ensure you’re all set up on both cards. Of course, with Velocity Auto-Redemption enabled on your account, you won’t be able to convert points to any of Altitude’s other frequent flyer partners like Cathay Pacific Asia Miles or Singapore Airlines KrisFlyer, unless opting-out from Auto-Redemption at a later date, knowing that you won’t be able to opt-in again. Don’t already have an Altitude-earning credit card? With Velocity Auto-Redemption soon to disappear for those who aren’t already using it, new Westpac customers would need to act fast before the ability to enrol is lost. For example, taking out a new American Express Westpac Altitude Black Bundle currently provides up to 120,000 bonus Altitude Points for eligible new customers, being up to 60,000 Velocity points via Velocity Auto-Redemption or up to 40,000 Velocity points via manual conversion. This two-card combo includes both a Westpac Altitude Black Mastercard and an American Express Westpac Altitude Black Card, and each card comes with its own sign-up offer. Apply for the bundle by June 2 2019, opt for the Altitude Rewards program (as opposed to Altitude Qantas, for Qantas Points) and spend $3,000 on eligible purchases within 90 days of card approval using the Altitude Black Mastercard to earn 80,000 bonus Altitude Rewards points, against a $250 annual fee. You can also collect a separate 40,000 bonus Altitude Rewards points when spending $3,000 on eligible purchases within the same 90-day period using the American Express Westpac Altitude Black Card (with a separate $199 annual fee), giving you up to 60,000 bonus Velocity points overall if completing both offers and opting-in for Velocity Auto-Redemption before April 15, or up to 40,000 bonus Velocity points after that date.